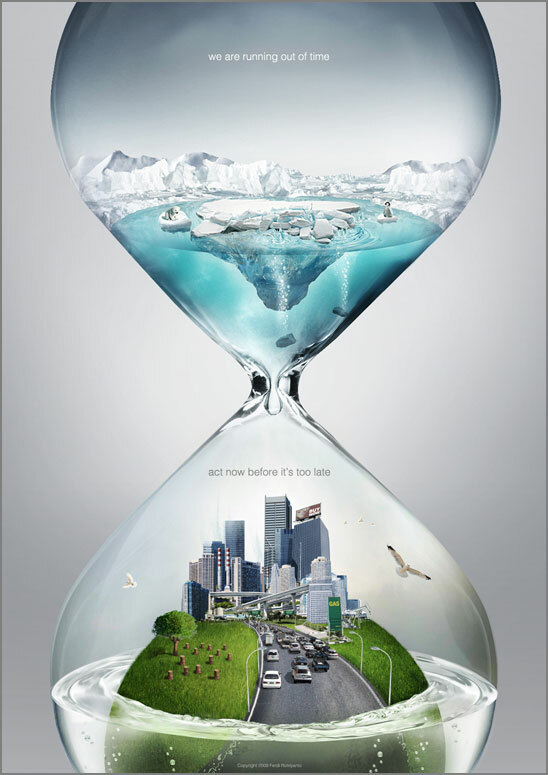 The Kyoto Protocol (KP) hangs by a thread in the lead-up to the Durban climate change summit at the end of November. So too, does the future of life as we know it on planet Earth. Carbon emissions in 2010 were the highest in history, the International Energy Agency (IEA) reported in June, 10 percent above their 2005 level. The Australian government has all but abandoned its legally binding obligations under the Kyoto Protocol and the UN Framework Convention on Climate Change (UNFC). In Australia, the KP and Australia’s obligations have been swept under the carpet. The government’s stated target of a five percent reduction by 2020, compared with emission levels in 2000 is too little, too late, even if it were achieved, which is doubtful. Yet, the media remains silent, instead giving prominence to climate change deniers and those who are relying on a market-based approach – the carbon tax – as though the private sector which is behind the present crisis will save the planet. The science is clear. The Intergovernmental Panel on Climate Change (IPCC) stated that emissions need to be reduced by 25-40 percent by 2020 “to stave off the worst effects” of climate change based on the target of limiting global warming to 2˚C above pre-industrialisation levels. This is an extremely conservative target. It has already reached 0.8˚C. The Alliance of Small Island States, a grouping of 43 countries particularly vulnerable to the impacts of climate change, is calling for a 45 percent reduction by 2020 and for a 1.5˚C cap on temperature rises. Their slogan is “1.5˚C to stay alive”, one which reflects the reality of millions around the world, not just small island states. A number of third world countries are demanding a cap on carbon pollution of 350 parts per million to achieve a 1.5˚C temperature rise. The required cap for the 2˚C target is 450 pm. Their voices are drowning in the oceans that will soon swallow them up if the KP is abandoned. The KP is the only legally constituted and binding international instrument for addressing climate change. It is based on the principle of “common but differentiated responsibilities” of developed and developing* nations, in recognition that the developed countries are principally responsible for the high levels of greenhouse gas emissions in the atmosphere. It also recognises that the economic and social development and poverty eradication are the first and overriding priorities of developing countries. Their share of global emissions will initially grow to meet social and development needs. In accordance with this principle, developed nations gave legally binding commitments to reduce their greenhouse gas emissions and provide financial and technological assistance to developing countries to enable them to plan and carry out mitigation and adaptation measures. Developing nations were not subjected to legally binding targets, but did make commitments to take other measures conditional on receipt of the financial and technological assistance from developed countries. Needless to say the developed nations have not delivered on their assistance. The KP does not expire at the end of 2012. The Copenhagen summit in 2009 had the task of finalising commitments for a second period of commitments commencing in 2013. Regrettably, developed countries set about sabotaging the genuine attempts by poorer nations to negotiate. The Australian government even went as far as claiming the KP expires in 2012 – simply not true. Some governments have been a little more honest. Canada, Japan and Russia have categorically stated that they are not prepared to commit to a second period of emission cuts under the KP. The EU is very close to pulling the plug on the Protocol, having warned it would not commit to any agreement that did not include the major economies – knowing the US has no intention of signing the KP. The saboteurs aim to replace the KP with a “political agreement”. They have agreed to a 2˚C target, with a (don’t hold your breath) promise to consider lowering it at a later date. They refused to negotiate a global aggregate target for emission reductions, let alone negotiate individual national targets unless the developing countries agreed to commence reductions. This was aimed at China, India, Brazil and South Africa in particular, in total breach of the KP’s provisions prioritising development. Under the so-called “Copenhagen Accord” (never agreed to at Copenhagen) each country submits its target which is determined nationally, not through international negotiations. It is a voluntary, pledge system with no regard to the global aggregate required. It is a hit and miss affair, relying more on prayers and luck for individual targets to add up to cap rising temperatures to 2˚C. At present the offers made by developed countries could result in a catastrophic temperature rise of 3˚C. They add up to a paltry 19 percent below 1990 emission levels by 2020. To the corporate sector in the US, Japan, Canada, Australia and the other nations attempting to kill off the KP, the key question is not halting climate change. Their aim is to exploit climate change to secure new markets, investments and sources of monopoly profits. Emissions trading schemes are a means of privatising and commodifying carbon emissions for profit. They are a means by which the big polluters pay to pollute and poor third world countries, desperate for funds could find their development hindered. These are the same corporate vultures that resist their obligations under the KP to freely share their knowledge and technology with the poor nations – whether it be green planet-saving or life-saving technology, research findings, or for that matter anything of benefit to humanity. They continue to demand exorbitant, unaffordable royalties for access to their “intellectual property rights”. Urgent action is required to save the KP, and the Australian government should take a strong stand in Durban, insisting on developed countries providing the financial and technological assistance promised – and without strings. The government should immediately triple, at the very least, its target. The present target of a five percent reduction is based on the level of emissions in 2000. The base year which is used under the KP for calculating global averages and comparing national commitments is 1990. When compared with 1990, the five percent becomes a pathetic two percent! Even the US, which still refuses to sign onto the KP, is offering as much or more, New Zealand 10-20 percent, Japan 25 percent and Norway and Russia up to 40 percent. It also has a responsibility to plan, regulate and use the public sector for the development of the Australian economy on an environmentally sustainable basis. There is only one way forward. Collective, scientifically based, globally co-ordinated action. Regardless of its imperfections, the KP is the only instrument available NOW that could deliver such an outcome. The government has a responsibility to fight for the KP in the lead-up negotiations and at Durban. Time is running out. * The UN uses the terms “developing” and “developed” which are used here in the context of the KP for clarity.